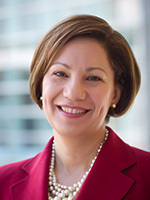 Patricia Rivera, MD, began her college career as a communication arts major. Before Oprah Winfrey was a celebrity, she dreamed of being a broadcast journalist, conducting interviews, and sharing compelling human interest stories. She drew inspiration from her grandmother, who in Cuba, graduated as one of the first female pharmacists in her time. Several children in the family followed in their grandmother’s footsteps, pursuing careers in science, technology, engineering, and mathematics. It wasn’t until an anatomy and physiology class that Dr. Rivera realized that she, too, was drawn to STEM. She then immediately changed her major to medicine. Now part educator and part clinical researcher, she is a professor of medicine in the Pulmonary/Critical Care Division of the University of North Carolina at Chapel Hill. In addition, she serves as the director of the university’s Lung Cancer Screening Clinic and Pulmonary Function and Bronchoscopy Laboratory, and co-director of the Multidisciplinary Thoracic Oncology Program. Dr. Rivera considers the lung a “beautiful organ” and is still fascinated by it. She is excited at the interconnections between the lung and every other organ. Respiratory medicine encompasses a broad spectrum. “We see everything,” she says. Her collaborative practice includes an understanding of neurology, gastroenterology, rheumatology, infectious disease, among many other specialties and conditions. With Societal support, she co-chaired a workshop on lung cancer screening in patients with co-morbidities. Its aim was to identify gaps in knowledge and propose research priorities to address how co-morbid conditions should be incorporated into decision-making about screening eligibility. She has also benefited greatly from peer-to-peer learning and networking opportunities through the ATS. In her free time, Dr. Rivera enjoys dance and runs a book club with other female professionals at UNC. She travels extensively with her family. Their goal is to visit every national park. 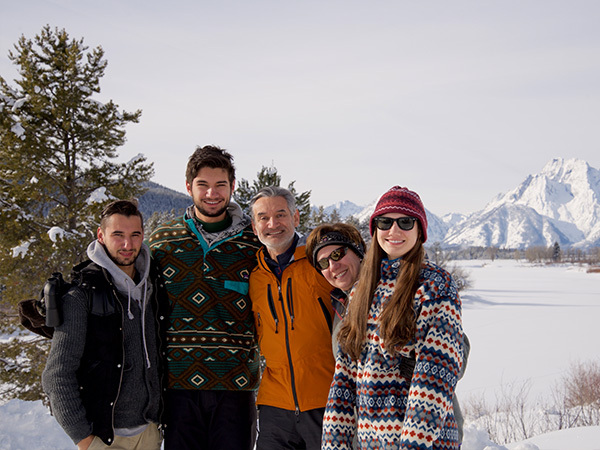 Dr. Rivera, her husband, and three children, on one of their outdoor adventures.